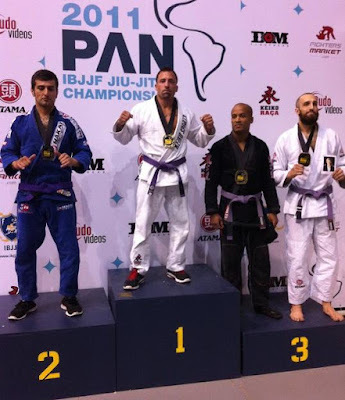 Rob Cipriano is officially the 2011 Pan American Jiu-Jitsu Champion. Rob won 4 fights in the purple belt gi division on his was to winning. The prestigious tournament was held at the UC Irvine Center in Irvine California. The tournament runs 4 days (March 24th – 27th) and is one of the most competitive jiu-jitsu competitions on the planet.